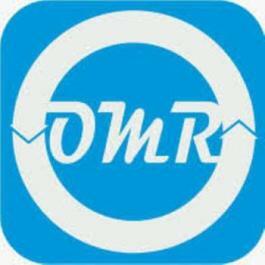 INDORE, INDIA, October 16, 2018 /EINPresswire.com/ — According to the OMR analysis, the global public safety in building wireless DAS system market is growing at a significant rate during 2018-2023. The emergency response radio system in building is distributed antenna system (DAS), which is installed for expanding critical communication coverage in various areas which includes hospitals, malls, buildings and airports. The critical communication enables in providing critical networks which are created to provide secure communication. The advanced regulations which are needed in public safety wireless DAS system includes battery backup, monitoring antenna network, alert alarms to communicate central fire arm panel. 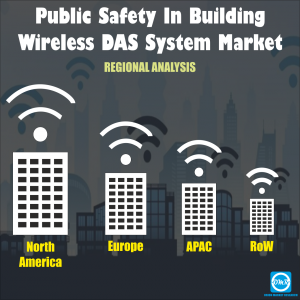 The global public safety in building wireless DAS system market is segmented on the basis of by service, by component and by application. The report provides detailed and insightful chapters on market overview, key findings, strategic recommendations, market estimations, market determinants, key company analysis, market insights, company profiling, market segmentation, geographical analysis and analyst insights. Furthermore, increasing trend of smart cities development and city projects in developing countries are the factors that are driving the growth of the market, which leads to increased application of public safety in-building wireless DAS in several residential and commercial building. However, the high initial cost and security and privacy concerns are factors hindering the growth of the market. The rise in digitally intelligent DAS and development of large multi-storey buildings are creating opportunities to boost the market. The market on the basis of geography is divided among four major regions – North America, APAC, Europe, and Rest of the world. North America is considered to hold largest market share in public safety in building wireless DAS system, during the forecast period 2018-2023, the rise in public infrastructure are driving the growth. Further increasing data traffic due to increase in IoT and smartphones in this region is hindering the growth of the market. APAC is considered to be the fastest growing region due to increasing number of smart cities in developing countries such as India and China.